Pensions are incredibly important: we all need to save for our retirement. The difficulty however, is that the rules and regulations surrounding pensions are complex. Often when people need advice on how they can go about putting some money away for their retirement, they need to speak to a lawyer or an accountant about how to do this. Here at Unlock My Pension we understand that you may be wary of instructing a professional advisor unnecessarily for fear of paying significant fees. Equally, experienced professionals will not want to spend a great deal of time researching and explaining the rules governing pensions without payment for their services. That is why we at Unlock My Pension provide you with all the information you need to make your next move. We provide 100% free guides on how pension rules affect you, and to help you understand when you might need specialist advice from a lawyer. At Unlock My Pension, our team is made up of a number of people, all of whom have different skills. The vast majority of our team is made up of professionals with a legal background, and who understand the need for clarity when it comes to discussing the law and how it affects you. Many of the team members at Unlock My Pension have experience in finance and accounting, as well as the law and how it applies to pensions. Our team take pride in delivering an expert service that is freely available to you, giving access to legal guides which traditionally would have involved the payment of a significant fee. We provide completely impartial, objective advice on what the law means for you and your savings. Our experience also allows us to translate the law into easy to understand examples, so that you have a better idea of what consequences will flow from the decisions that you make. While most legal service firms expect clients to pay a fee before there is any discussion about how the law might affect them, at Unlock My Pension, we do things differently. 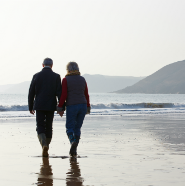 What are the options in saving for a pension and what are the differences between them? How do changes in legislation affect my savings? What are the tax consequences if I start to withdraw my pension before I retire? Does my employer contribute to my pension? When can I start to withdraw my pension savings? How will my pension be taxed after I retire? We also appreciate that the law, never stays still. The information that we provide always reflects changes in both statute and case law, giving you a comprehensive understand of the modern law on pensions and how you will be affected. Given the complexity of pension rules, there are times when specialist advice and assistance is needed. At Unlock My Pension we aim to help people get to a stage when they can decide that they need expert legal advice, and to point them in the right direction. We do not view ourselves as a replacement to the legal profession, but rather a partner to it. The majority of our team have come from a legal background, so we understand that trust is one of the most important aspects of any relationship. 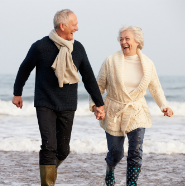 We take our job in guiding you through the complex pension regime very seriously. The information that we provide is always based on extensive research on the law and how it applies in real-life situations. At Unlock My Pension, we view ourselves as guides in the often difficult-to-navigate world of pensions. Our team are experienced professionals who appreciate the importance of clear, succinct, and relevant advice on how the rules on pensions will affect your savings for retirement. You can rest assured that we are here to help, not hinder you. At Unlock My Pension, we want to help you understand Pensions. We understand that advice or guidance that involves overly-complex and often unnecessary legalese is, in most cases, unnecessary. If you have questions or concerns about the different kinds of pension schemes that exist, or you aren’t sure what the rules are for when you can start to use your retirement savings, then please contact us. We are here to help you, and make you more informed on how this complex, but very necessary, regime will affect you. Our Pension is something that we must all consider at some point in our life. Greater freedom to decide how you use the money that you have saved on your retirement. Find out how to avoid being caught by fraudsters and duped into pension scams. The media is full of coverage about the overhaul of the rules governing access to pensions that come into effect this month.